Our Team — Daniel P. Seink Co., Ltd. 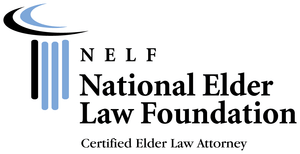 Founder and managing partner Daniel P. Seink is dual certified in Elder Law, first as an Elder Law Attorney by the National Elder Law Foundation , which is the only certification accredited by both the American Bar Association and the Supreme Court of Ohio Commission on Certification of Attorneys as Specialists, and second as a Certified Specialist in Elder Law through the Ohio State Bar Association. Mr. Seink devotes his practice primarily to those issues uniquely affecting the elderly, the disabled and their families. Attorney Seink is the contributing Editor to the fourth and fifth editions of the Elder Law Handbook published by the Ohio State Bar Association. He is a member of the National Academy of Elder Law Attorneys, and serves as a Board Member of the Ohio Chapter of NAELA. He is also a member the Estate Planning, Trust and Probate Section of the Ohio State Bar Association, and is a Sub-Committee Chair of the Elder Law Committee for the OSBA. Daniel volunteers as a speaker for the Alzheimer's Association and is a frequent lecturer to legal, financial, health and tax professionals. An honors graduate of the Cleveland-Marshall College of Law, and John Carroll University, Mr. Seink also served for three years as a staff attorney for the State of Ohio Court of Appeals. Mr. Seink is accredited by The Department of Veterans Affairs to prepare, present and prosecute claims for veteran’s benefits. Attorney Claudia Rose Brown dedicates her practice to Elder Law and long-term care planning issues. Ms. Brown has worked with older adults in hospital, nursing home and home care settings as a case worker for the Western Reserve Area Agency on Aging and as a guardian for Cleveland's Volunteer Guardianship program. Ms. Brown is a graduate of Cleveland-Marshall College of Law where she served as an editor for the Journal of Law and Health, and holds a Master’s Degree in Social Work from Case Western Reserve University. Attorney Brown is accredited by The Department of Veteran Affairs to prepare, present and prosecute claims for veteran's benefits. Steven R. Roush graduated with a Bachelors Degree in History from Southern Adventist University in 2004, and with a Juris Doctor from the Univerity of Toledo School of Law in 2009. He is a member of the Columbus Bar Association. He has dedicated his practice to the areas of elder law and estate planning, and is a frequent speaker on the topics of trusts, public benefits eligibility and asset protection. Attorney Roush is accredited by The Department of Veteran Affairs to prepare, present and prosecute claims for veteran's benefits. Joclene J. Inman graduated with a bachelor’s degree in psychology and a minor in biology from Hiram College in 2011. After graduation, she resumed her studies at Cleveland-Marshall College of Law, where she obtained her Juris Doctorate degree in 2016. She is a member of the Cleveland Metropolitan Bar Association and the Ohio State Bar Association. Ms. Inman started her law career at the Probate Court of Cuyahoga County, where she served as a Deputy Clerk and as the Court’s Staff Attorney. She enjoys helping individuals with probate-related issues and takes pleasure in advocating on behalf of vulnerable people. Ms. Inman is passionate about serving the aging community and their families. Attorney Kelly C. Delaney attended John Carroll University where she graduated with a Bachelor of Science in Business Administration. She graduated on the Dean’s List from Cleveland Marshall College of Law in 2003. Ms. Delaney has focused the majority of her legal career on estate planning elder law and probate administration. Kelly advocates for her clients’ needs by assisting them in achieving their Estate Planning needs and goals with dignity and respect. Kelly also assists families in navigating and resolving any issues that arise when a loved one passes away. 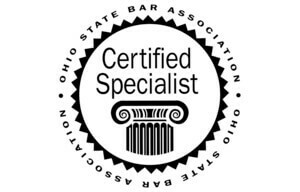 Kelly is a member of the Ohio State Bar Association, the Estate Planning Trust and Probate Section of the Ohio State Bar Association, as well as the Elder and Special Needs Committee of the OSBA. Kathy Cline is a licensed social worker with more than twenty years of experience in the field of aging. She started her career in Adult Protective Services, and subsequently worked as a supervisor at the Western Reserve Area Agency on Aging, a social worker in both residential care facility and home care agency settings, and as a coordinator of a community social services program in Southeast Cuyahoga County. Ms. Cline is a Certified Geriatric Care Manager, a Certified Dementia Care Practitioner, and a Certified Elder Care Coordinator. Her commitment has always been the best care for the senior in the least restrictive environment possible. Mrs. Kline is an alumnus of Miami University in Oxford, Ohio. She serves as the Care Advocate and Coordinator for the Firm, and is the key for our clients to quality care.